The Great Outdoors, a patently American term, is more fitting to Sweden. The outdoors is available everywhere as soon as you close the door behind you. It is everyone’s and anyone’s playground and place to dwell. An everyday habitat. As such it is natural that people enjoy it in a never-ending myriad of ways. Only imagination sets the limits. So why are Swedes tight with nature today? It is tempting to put it down to some ancient dependence on nature. Long, harsh winters that made it essential to reap what you could from nature during the rest of the year. Do we feel a connection to these distant ancestors? Not really. Allemansrätten – freedom to roam – is a living expression of our culture now, today. Old practices that disappeared with industrial progress and even more so with electricity have little to do with it. 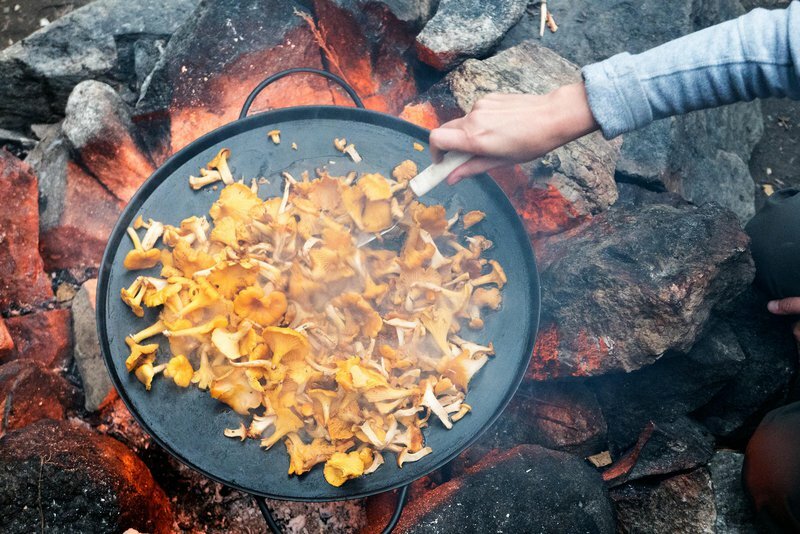 Picking mushrooms is hands down one of the top Swedish pastimes. It is a convenient and worthwhile way to experience the woods in the fall. It challenges your senses and your patience. Lastly, to cook and eat what you have gathered is an undeniable pleasure. The absolute freedom to do all this is a given. Rut Folke lives in a Stockholm suburb but is in no way an urbanite. She is one of the government’s 200 official ”mushroom counsels”. 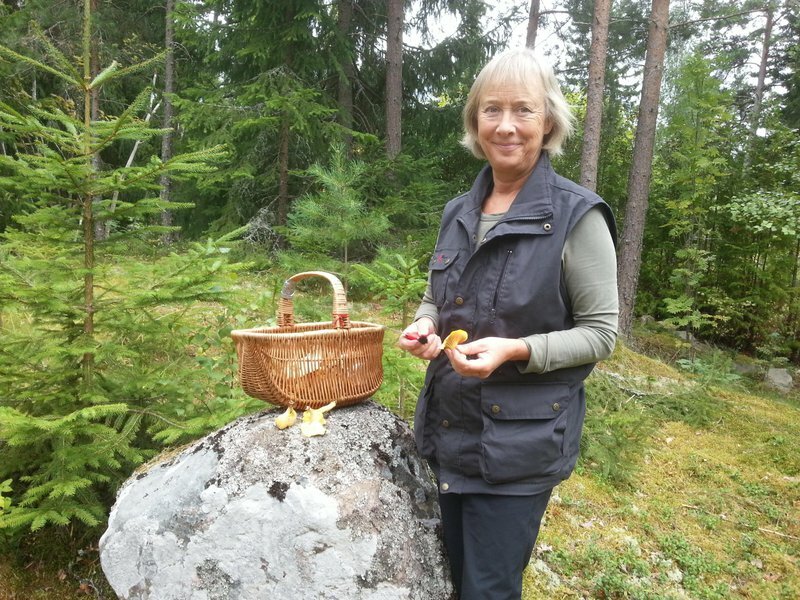 In simple terms it is her job to educate the Swedish public about which mushrooms you can and cannot eat. She frequently holds courses, even in English and German, for groups of people who want to up their mushrooming skills. She, if anyone, is expertly equipped to judge how well we live up to the responsibility part of the law. ”Most people really are aware of these things. But still, I like to say at least something about not littering and remind them to tidy up after they’ve had their packed lunch. I don’t think I’ve ever had someone misbehave in that respect,” says Folke. When Rut Folke takes a party on private land, she asks the landowner beforehand. She doesn’t have to, but she does. ”They never say no. On the contrary, they seem to appreciate that we let them know ahead,” she says. Still, wouldn’t it be prudent for the common man to recognize this as something to be thankful for? ”I actually don’t think they reflect about being able to move freely. It’s taken for granted,” says Rut Folke. Enjoying nature in various ways may be a Very Big Deal to us but free access to it is not. The freedom to roam is simply such an integral part of many people’s everyday life. Like, say, water, a deeply essential and basically free resource for most people and they do not reflect much on its scarcity in some parts of the world. Rut Folke’s own relationship with nature is different. This is her element since her maternal grandmother took her out when she was a child. She has a deeply rooted need for getting out there. She calls it ”fueling up on green”. ”It gives me happiness and comfort. I keep active. There’s so much to see; berries, birds and flowers all year around. Even I, who work with this, finds it very rewarding to understand how it is all tied together”, she says. When asked about the origins of the ”allemansrätt” – freedom to roam - most Swedes would probably mumble something about medieval customs. Historical sources tell us this is incorrect. The rights owe little to ancient times. Medieval laws stipulated harsh punishments for picking berries, for example, on private land. Larger scale farming had by the 19th century made these natural resources less important for landowners and it became an accepted practice to gather and glean on private property. Still, in the 1940’s the old laws were put to the test in a court case. Supreme court judge Gunnar Carlesjö now introduced the concept of freedom to roam. His arguing may have been a bit dishonest. Invoking selected passages from centuries-old legal sources and the quite recent acceptance for moving freely, he deemed that ”alle mans rätt” – every man’s right – trumped the current penal code. Surprisingly, even collecting food for commercial purposes was judged an appropriate practice. Nothing further happened until 1974, when parliament – without controversy, which is telling – laid down the law we have today. It was included in the constitution as late as 1994. It is easy to become romantic, even lyrical when portraying the Swedish outdoors. In truth many experiences are uncomfortable. And some people actually make nature’s challenges a way of life. In fact, Swedes have always been at the forefront here. Apart from the vikings, you may have heard of contemporary adventurer Ola Skinnarmo and his attempt to cross Greenland on skis. If not, Carl von Linné’s latin classification system for flora and fauna should be familiar to all. Even royalty enjoyed this: Gustav Vasa, founder of the Swedish nation-state, was a 16th century rebel-come-king. His legendary trek across the Swedish winter landscape, the Danish king’s men in pursuit, inspired famous cross country ski race Vasaloppet, the world’s oldest (1922), biggest and longest. Adventure athlete who became the first Swedish woman to climb Mount Everest and the only person in the world to circumnavigate the lower 48 States of the United States by own power. Renata travels the world but her base is Jönköping, in the middle of Sweden. Renata Chlumska is one of these latter day professionals. As an adventurer and mountain climber she has seen more of the world than most. Much of her preparation is done on home turf. ”If I didn’t live in Sweden I would feel more confined. To me, the freedom to roam is such an unquestionable thing, that even if you own the land it is something people should have access to and be able to utilize,” she says. Chlumska was the first Swedish woman (and Czech, she has dual citizenships) to conquer the ”Seven summits” (the highest mountains on each of the seven continents). In 2005 she embarked on her ”Around America Adventure,” where she used only a kayak and a bicycle to circumnavigate USA:s lower 48 states. That feat took – ouch! – 439 days. It wasn’t always easy to find refuge from the waves when sleep called. ”In other parts of the world I have to be careful and use a bit of stealth… In the U.S. I sometimes camped where I wasn’t supposed to and slept with a knot in my stomach. Access to fresh water can be problematic as well. 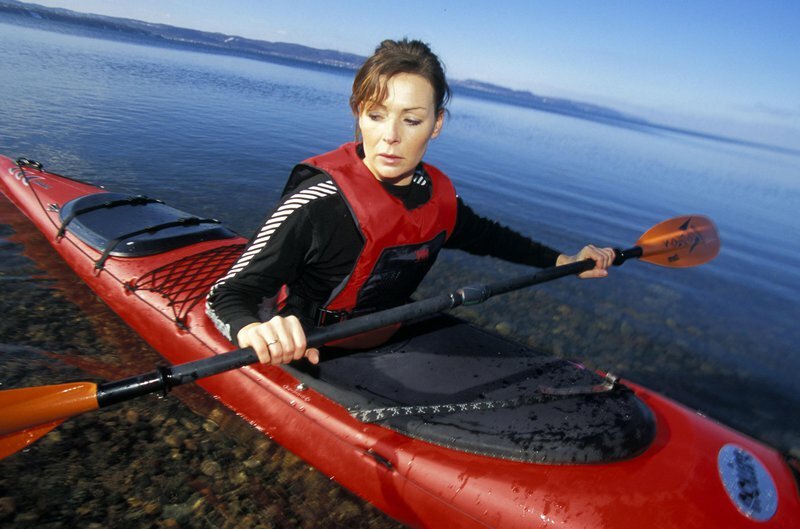 When I’m out kayaking on the West coast in Sweden I don’t even have to consider who owns this or that small island when I choose where to land,” she says. Renata Chlumska was raised in an apartment in Malmö, capital of the South if you will. She grew peas on the family’s miniscule balcony and wished for a house with a garden where she could sleep in a tent. She now lives that dream in Jönköping, strategically located by the shores of Vättern and roughly equidistant from Stockholm and Malmö and even nearer the dotted small islands of the Western archipelago. Chlumska does not limit her perspective to her own needs. She lists horse riding, mountain biking and similar activities – some of them often arranged as commercial ventures – and concludes that things would be very different if they weren’t as accessible as today. The conversation turns to what we were given and what we had to fight for. ”I value nature more now. I used to take it for granted. In terms of being careful or mindful I think about the animals, the birds … Somehow you have to take the viewpoint that nature is where they live, it’s their home, and we have to respect that,” she says. There is a classic dichotomy between experience and knowledge. In making the case for the freedom to roam we can nudge the two closer to each other. Nature can be cruel – no, it is cruel, hands down. We tend to gloss this over; we look away from the violent kills, the odorous decay in the midst of nature’s glory. Why shouldn’t we? A baby finch hacks its way out of its egg and there’s an instant family. A rainfall makes rivulets that come to life with light as the sun promptly chases the clouds away. Even an old moose wandering off to die alone represents a sort of beauty. So does knowledge and science lessen our experience of nature, is it a snake in our northern paradise? Clas Källander is a researcher in medicinal bacteriology by day. 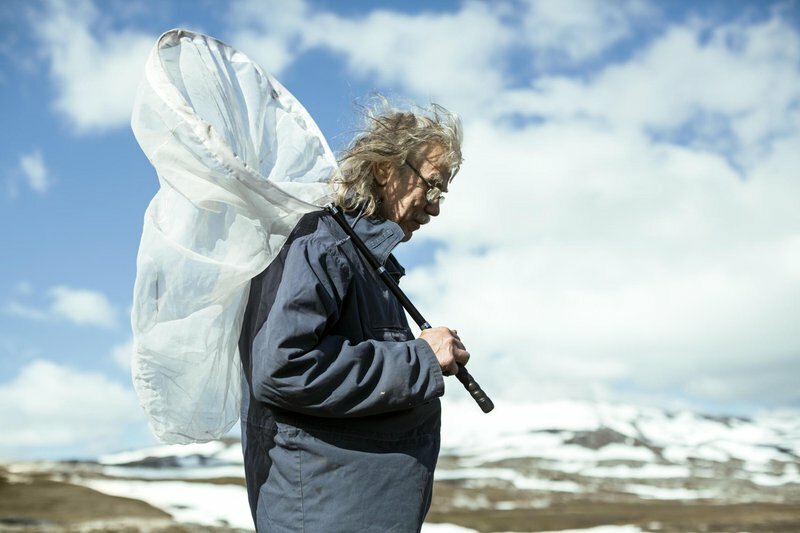 By night he transforms – much like his subjects – into an amateur entomologist. Only there isn’t much amateurish about his moth collection, recently the topic of a very pretty coffee table book brimming with lavish photographs. Källander’s studies became accessible to a larger crowd and the reviews made it one of the breakout nature books in the fall of 2015. None of this would have been possible without the freedom to roam. ”It is important because it can give as many as possible at least an idea about the basic mechanisms of nature. Those who don’t understand can never contribute to protecting nature against commercial and other interests,” says Källander. He recently left the city for rural Roslagen, ”right in the thick of it.” Half time retired at 68, he no longer needs to sleep in his Chevy van every time he fancies a night excursion. ”Knowledge is a question of having a somewhat functional worldview. The world of humans, however complex, is just a small part of everything. Looking back on the world’s history and evolution … you diminish yourself if you don’t make yourself a part of that context. 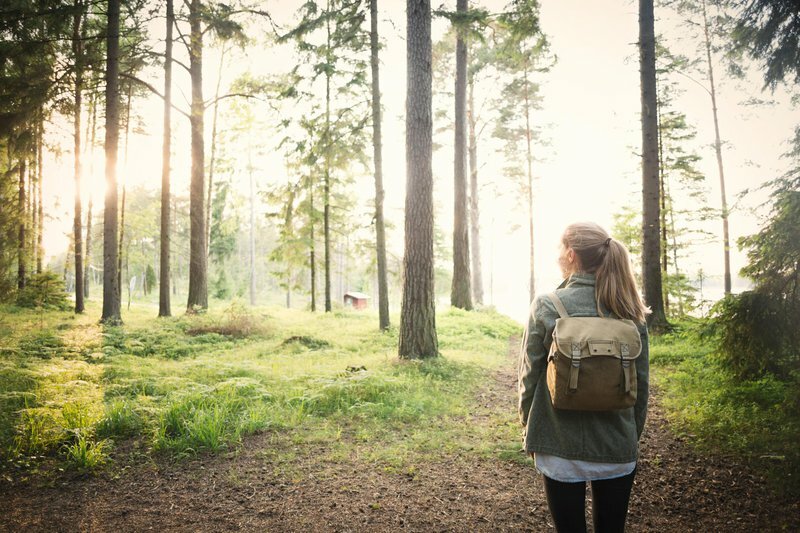 And the freedom to roam might make Swedes better at that,” he says. ”Like most people my age I grew up outside the cities. We lived a hundred meters from the edge of a forest so that was part of my world,” says Källander. ”The freedom to roam has a huge part in me becoming the person I am. Without it I would probably have been a lawbreaker of sorts. As a kid I always wanted to know exactly what it was I saw. And now I see how that gives me a much richer experience. It makes places I visit even more different from each other,” says Clas Källander. For all his science background he makes a convincing case for enjoying nature with your senses. ”I suppose I’m a romantic too, deep down. Even if you don’t know how everything is connected you have an emotional experience. And that means you can experience loss, because species and nature types disappear from nature today. In other words, it’s a loss of territory. Literature is full of people romanticizing nature and full of losses,” says Clas Källander. So it is a circular thing. Appreciation for nature creates knowledge, which make for a more respectful attitude toward nature. Respect is crucial for the freedom to be granted future license by politicians. For a law, that is pretty clever. A few words from the writer of the long read 'Freedom to roam'.